Hi guys!! Since my last post (15 Fun Facts You Might Not Know About Me & D) was posted the morning of Valentine’s Day, I hope the remainder of your guys’ day was as cozy and chocolate-filled as mine was!! And if you’ve been following along on my Instagram, specifically my Instagram stories, you know that we had a super low-key night, compared to previous years spent in Indy and Cancun. But I definitely wasn’t complaining! As you guys know, I just got back from an almost 2-week long vacation in SoCal, so a cozy, casual night was just what the doctor ordered! And plus, dinner was followed by a cozy night at the movies, so comfort is definitely key there! We saw the new Fifty Shades movie and best believe ya girl got some chocolate gummy bears and an icee!! *Best combo ever made* If you haven’t tried those two together, you’re MISSING out! But anyways, let’s get to why were all REALLY here! 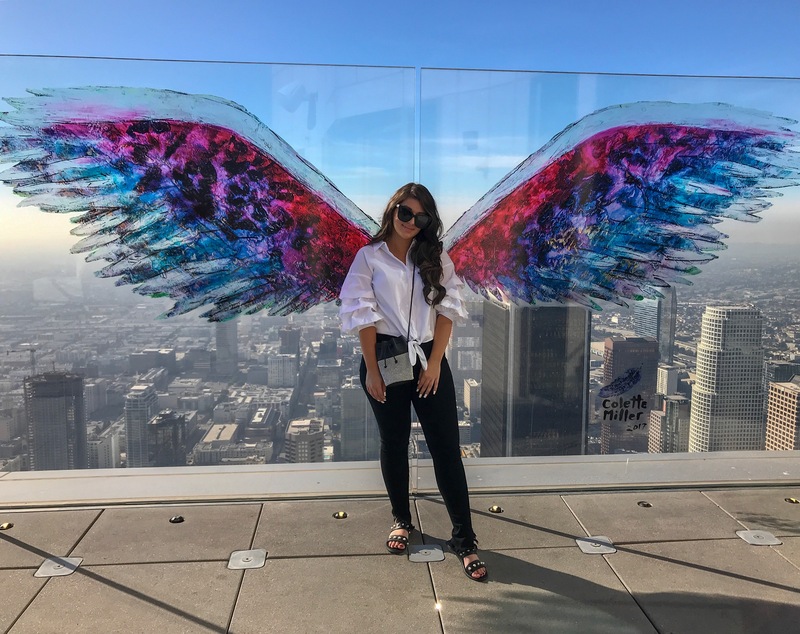 With the nearly two weeks spent in SoCal, I wanted to do a roundup of the best places I visited in the LA & surrounding area’s (including links to everything I wore!). There’s everything from restaurants, to shopping malls, to spa’s and more, so let’s see who made the list! 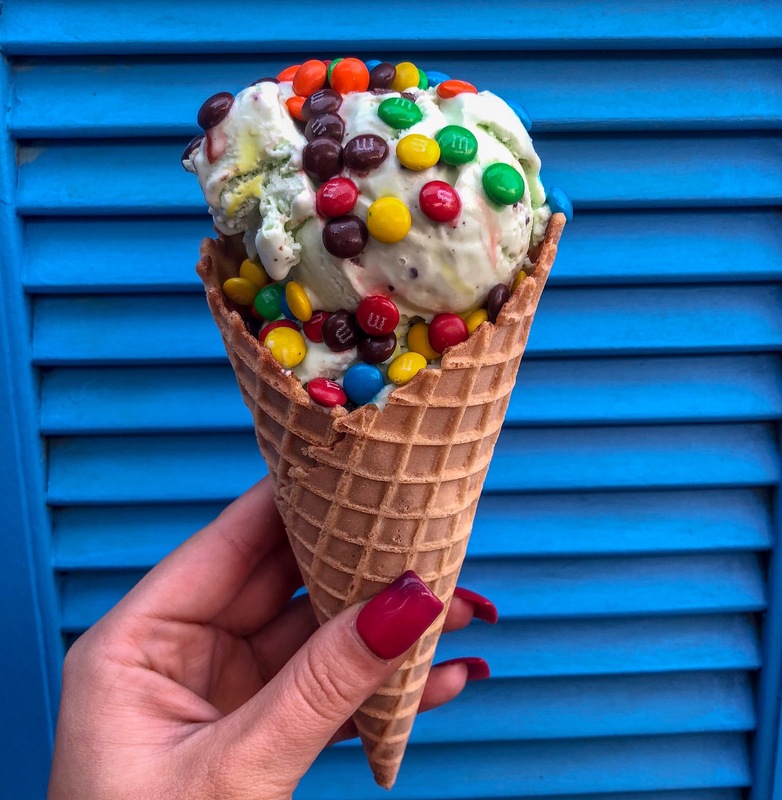 Soooooo if you guessed mint chocolate chip, you’re the real MVP! That, along with Oreo are my two favorites, so this was the perfect treat for a warm stroll outside at The Grove. Oh. My. Gosh you guys!!! Ciel Spa is AMAZING!!! 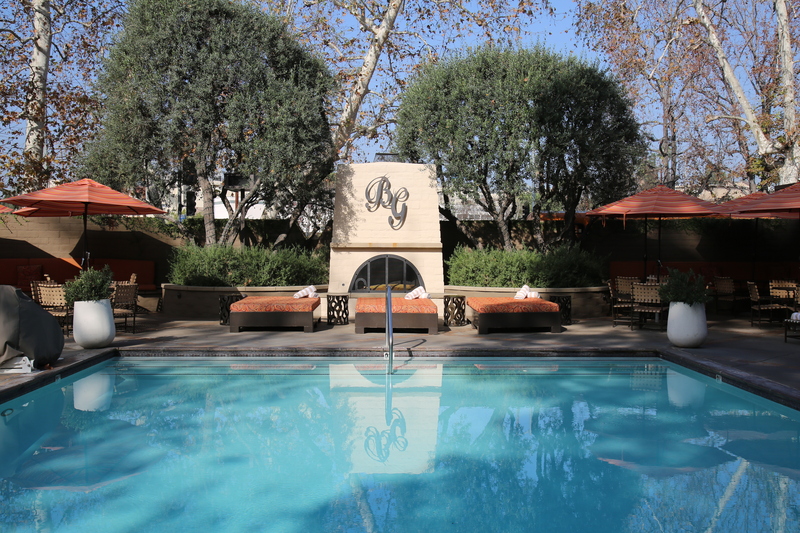 Not only is it located in the heart of beautiful Beverly Hills, it is at the prestigious SLS! When I say pulling up to this hotel was a dream, I mean it was literally everything and MORE! And the actual spa was just as stunning! With beautiful, pristine, white decor everywhere, it created a luxurious, yet relaxing space. 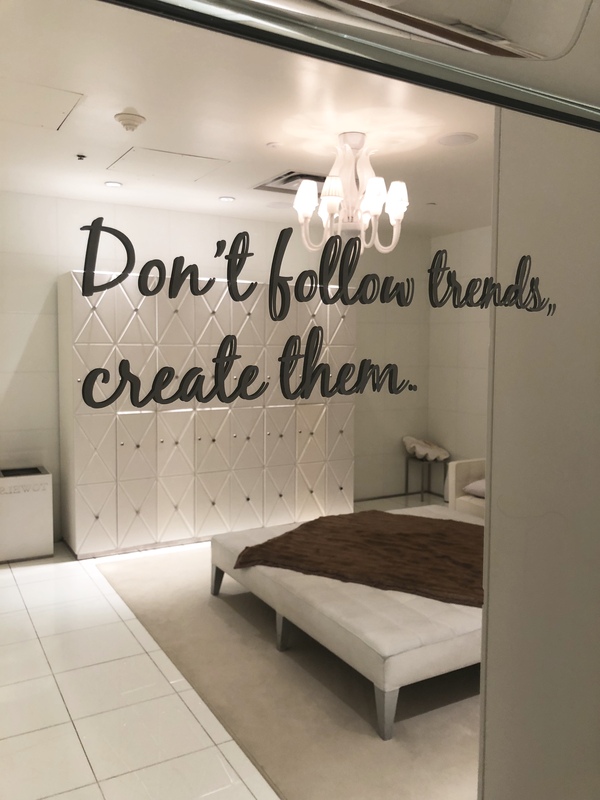 After walking down the beautiful hallways, they showed me to the women’s room (which was just as elegant, I might add), where a plush robe, sandals, a chocolate (my fav;) ) and all the necessities I would need were located. 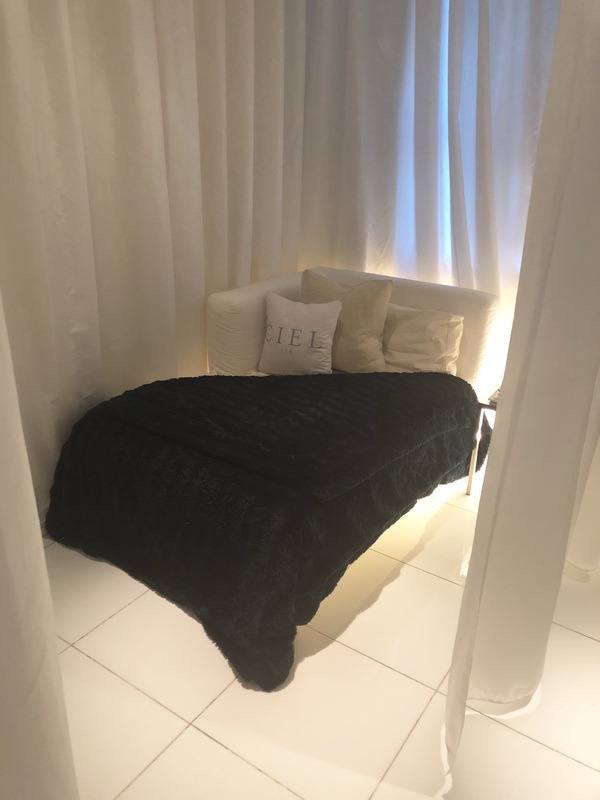 Almost immediately after dressing I was guided to my first treatment room, for the Ciel Signature Massage. Nothing short of amazing of course! 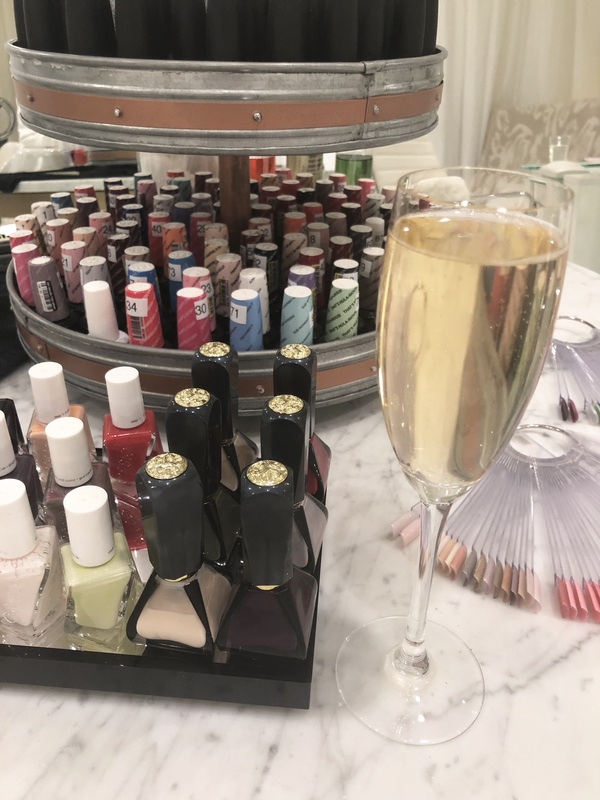 And it was then followed by a pedicure, where I tried gel for the first time! I’d say I’m pretty much hooked now! It’s been about three and a half weeks and there are no chips in my polish and I’ve done everything from walking in the sand on the beach, to hiking. So that’s pretty good if you ask me! All of the staff were so friendly too, which made the experience that much better. And the complimentary champagne and snack were just added bonuses! So needless to say, I will DEFINITELY be going back to Ciel Spa, the next time I’m in LA! Where do I even start when it comes Barton G.?! 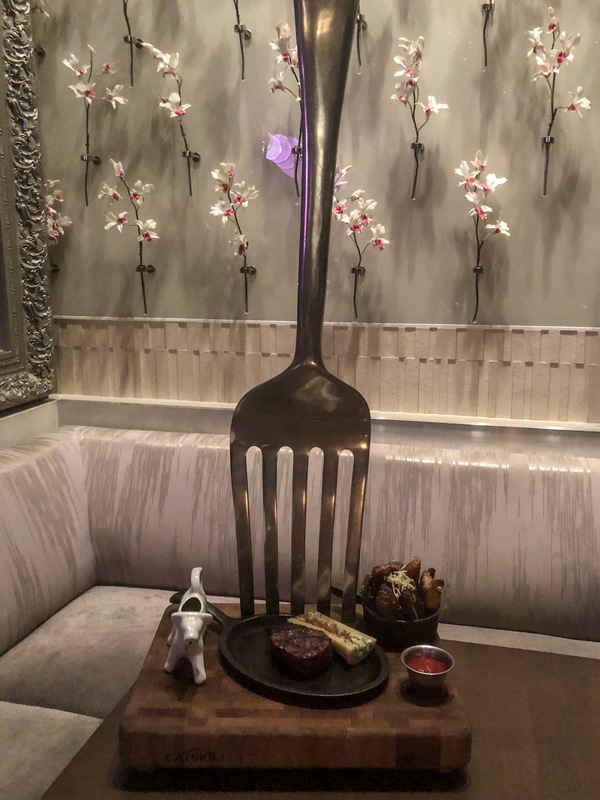 I’d been seeing this restaurant all over instagram for months and had been dying to go! So the second I knew I was going to LA again, I booked my reservation that same day!! And boy did it live up to it’s expectations! 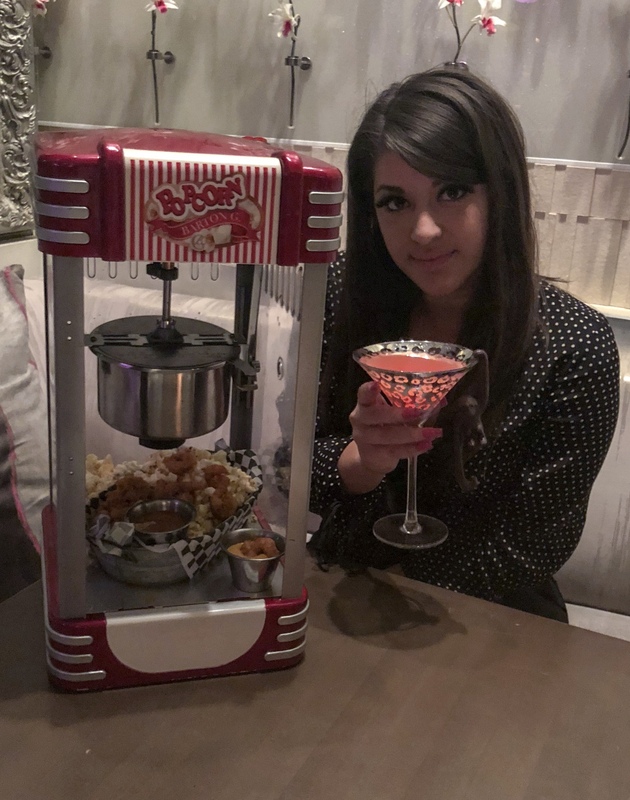 Every single drink, meal and dessert was a different experience and opportunity for a new photo op. As you go through the photos below, I’ve listed the names of each item in case you want to order the same thing! 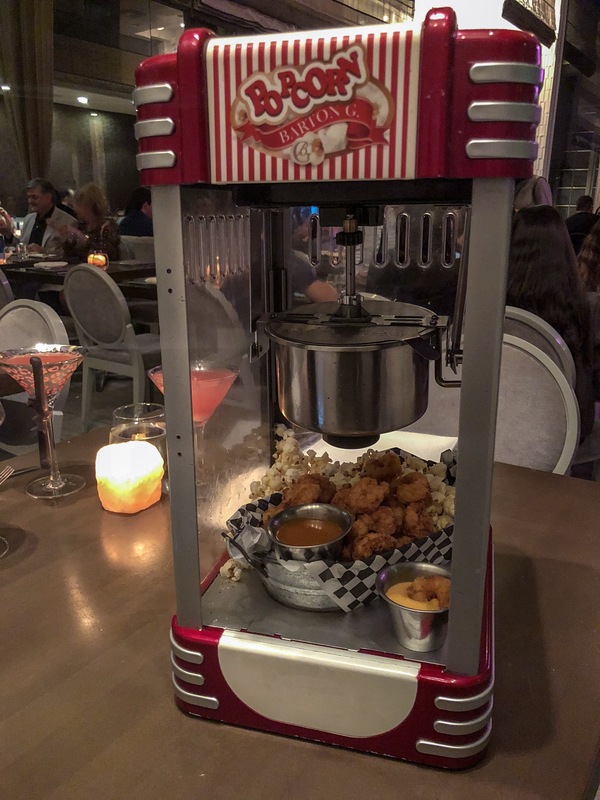 Out of everything, I’d probably say the two desserts and popcorn shrimp were my favorite. 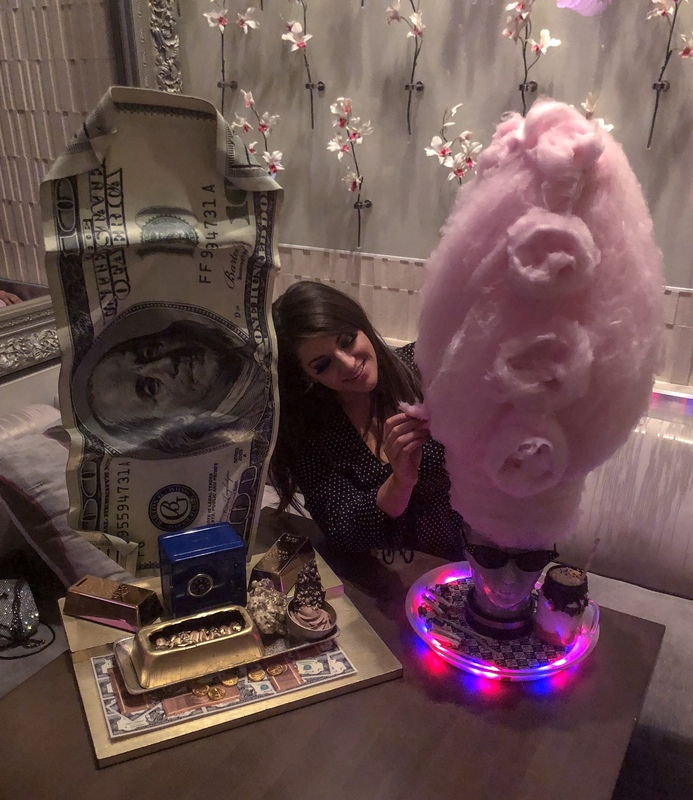 Everything was soooo delicious but I’d be lying if I said I hadn’t been counting down the hours to take a picture with Marie Antoinette’s Head (And if you don’t know what I’m talking about, you’re gonna want to scroll down! It’s AMAZING!). So that was extra special to me! The vibe was awesome too! The lights were pretty dim and the restaurant had a cozy feel to it. I don’t know why, but I imagined it to be in a huge space, most-likely super loud and to my surprise it was quite the opposite! Don’t get me wrong though, the place was PACKED and now I know why! It was so fun dining at Barton G. and the food was so tasty! I definitely have to take DeAndre there, the next time were in LA! As you guys know, EVERYTIME I’m in SoCal, I visit the Irvine Spectrum Center. I first stumbled upon it on Instagram as well, when I saw this ADORABLE, PINK, Hello Kitty pop-up cafe (which will have a permanent home at the Spectrum next year)! And in case you guys don’t remember it, I’ve posted it many times on my Instagram and you can see it here. 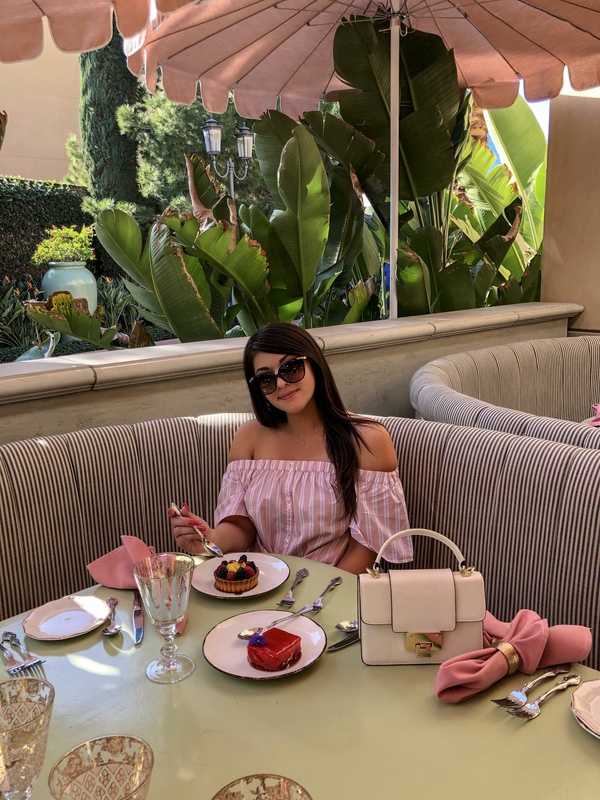 So anyways, normally I’ll just go somewhere once, in this case the hello kitty cafe for a photo and then the next time I’m in SoCal, I try to find a new spot! But the Irvine Spectrum Center has so much to do and I just couldn’t help but return again and again!! And I loveeee Orange County! It’s so beautiful and clean and warm there! And it definitely has a more calm and laid-back vibe than that of downtown Los Angeles, which I love! So basically I’ve made it a tradition to visit the Spectrum every time now and this past time was a blast!! Not only was I with my best friend, but we actually rode all the rides! The Giant Wheel, the Carousel and The Ride 7D! 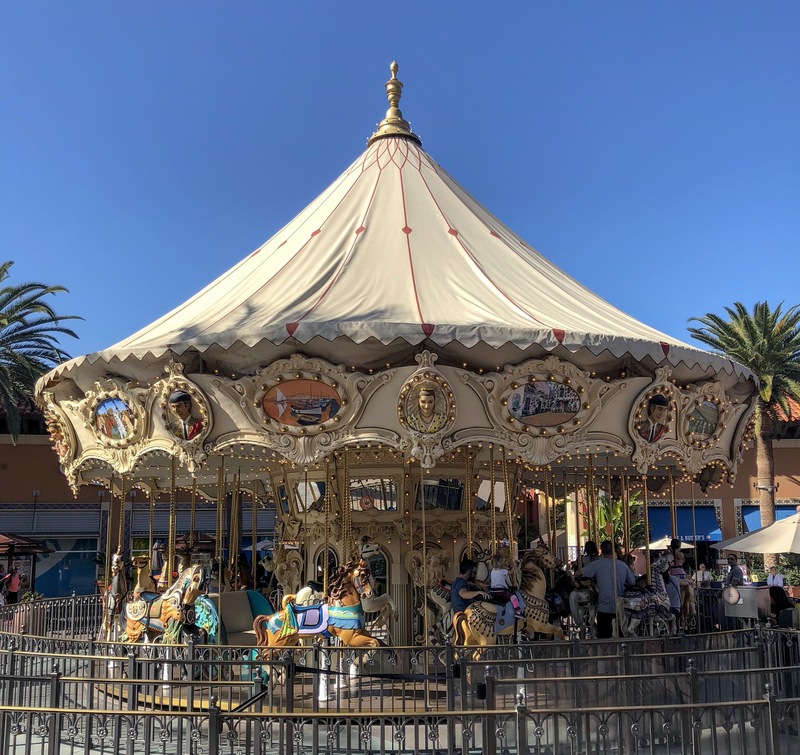 In all the times I’ve been to the Irvine Spectrum Center, I’ve never done that! We also ate at THE BEST CUBAN RESTAURANT EVER!! So if you do anything you guys, go to Habana!! It was absolutely stunning and the food was sooooo good!!! You will NOT regret it!! 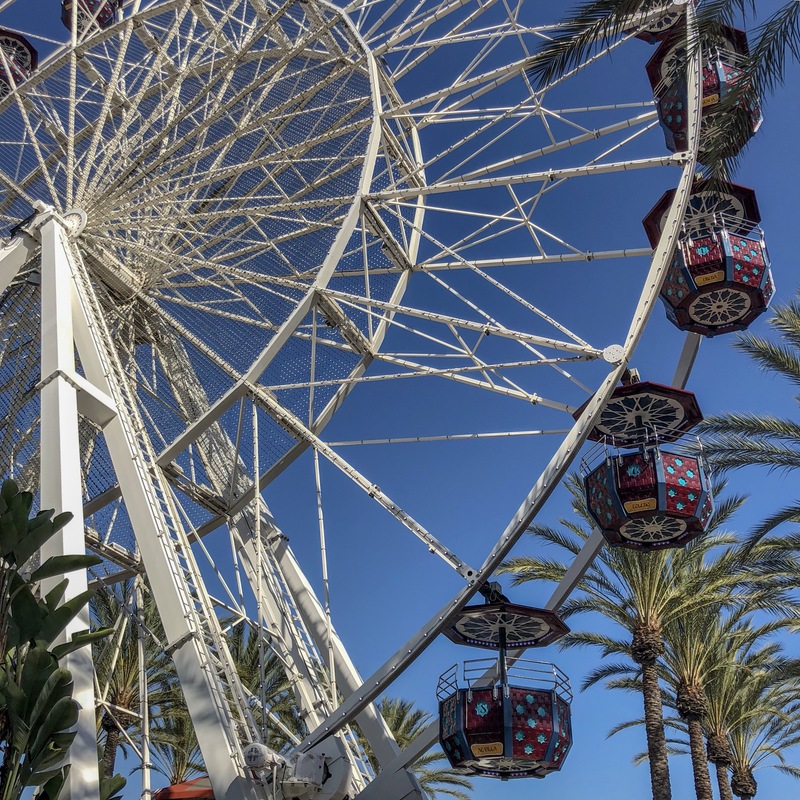 Overall, we stuffed our faces with delicious food, soaked up the sun, shopped till we dropped and had yet another amazing time at the Irvine Spectrum Center! 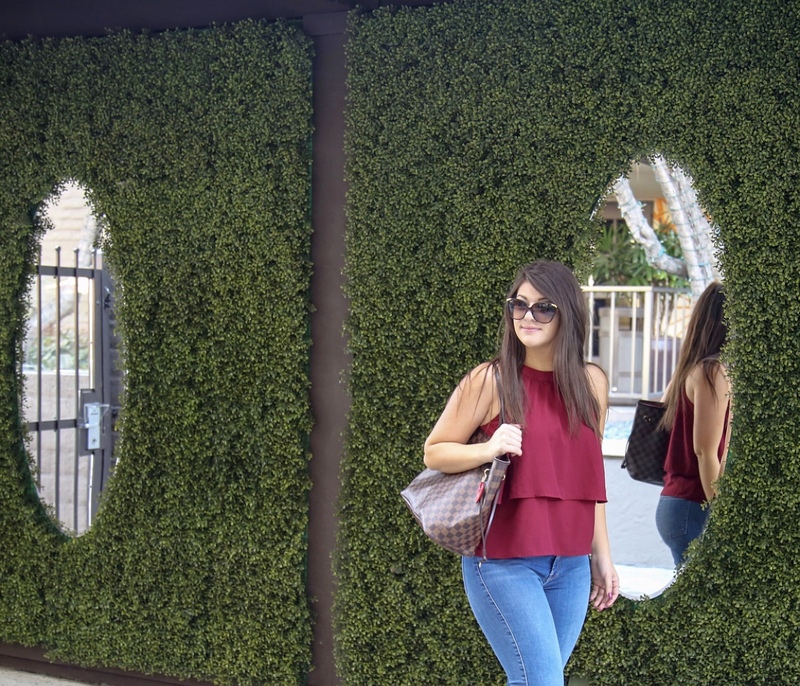 It’s hands down my favorite outdoor shopping mall! 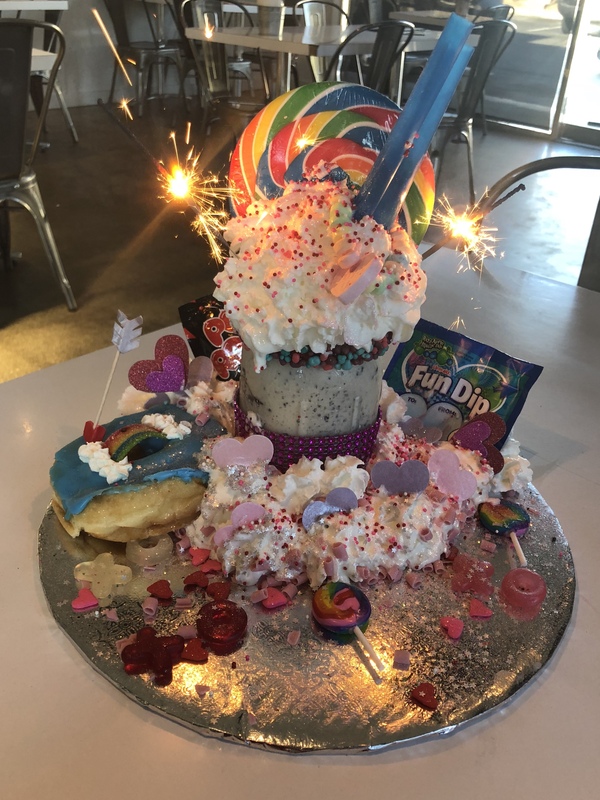 As you guys know, I pride myself on finding the most outrageous, cool-looking, mouthwatering desserts out there and boy did I hit the jackpot with this place!! 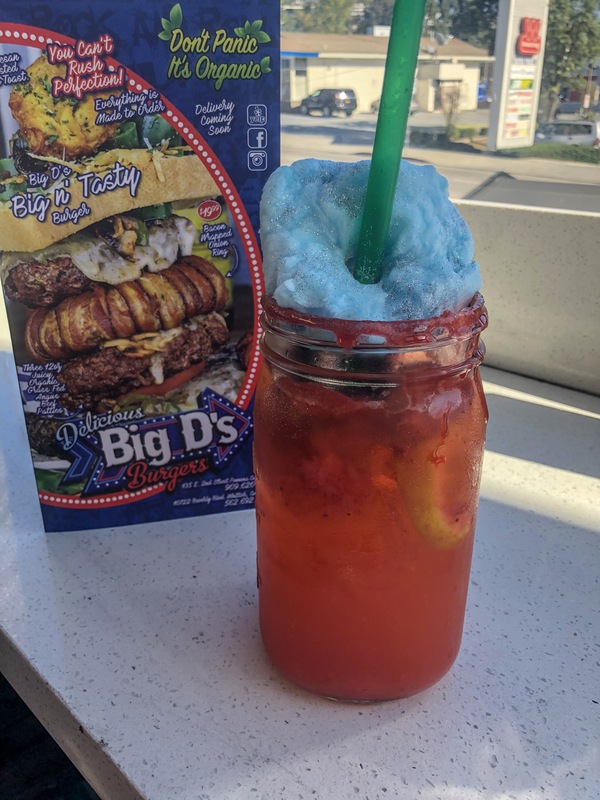 I saw the craziest milkshakes ever on their page and knew I HAD to make my way out to Big D’s Burgers! First off. ORDER THE STRAWBERRY LEMONADE!!!!! Me and D love a good strawberry lemonade, so we’ve tried them all and this one by far takes the crown! 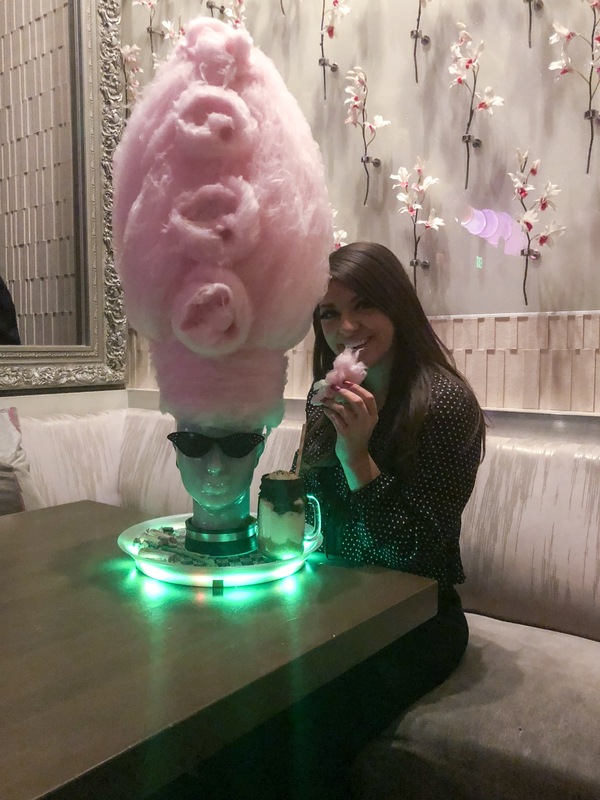 It had tons of fresh strawberry chunks at the bottom, the perfect amount of sweetness and the sparkly cotton candy on top got extra points in my book! .. Wow.. My mouth is watering just thinking about it!! *insert tear* I’m so sad I don’t live closer to taste it yet again… Not even kidding you guys! LOL! I love strawberry lemonade THAT much! 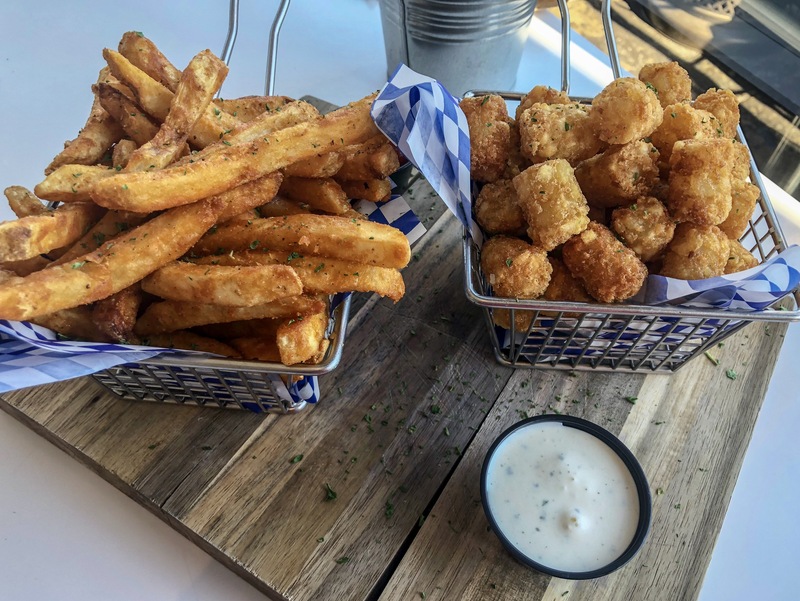 But anyways, next was the fries and tater tots… AMAZING! As you guys know, I’ve tried a lot of hamburgers in my day too and this one has to be pretty high up there!! 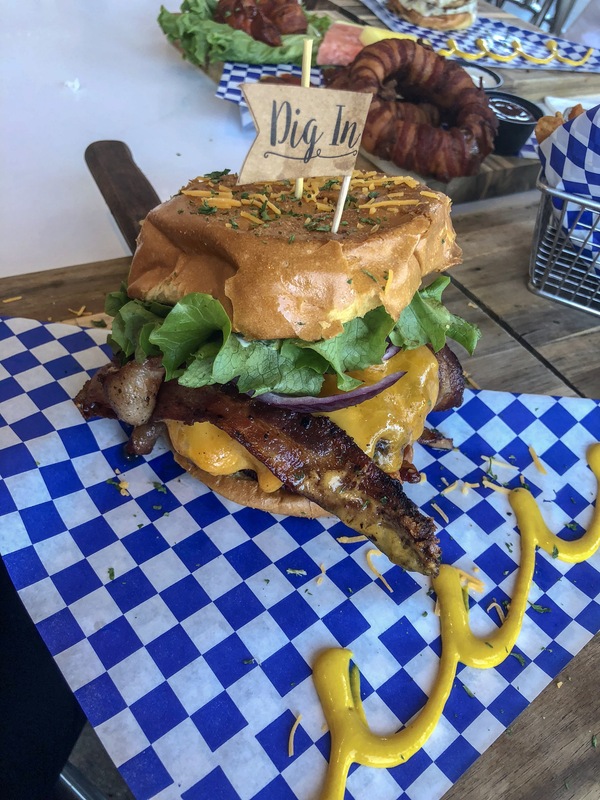 But let’s get to why I really went to Big D’s Burgers…. THE MILKSHAKES!!!! Not only did they custom create one for me, it was by far, the most DELICIOUS & BEAUTIFUL milkshake I’ve ever had!!! And trust me, most of the time the pretty & cool desserts at places are the yucky ones, but it was heaven in my mouth!!! If you’re EVERRRRRRR in SoCal, GO TO BIG D’s BURGERS!!!! Trust! Well.. it’s no secret that I’m afraid of heights. 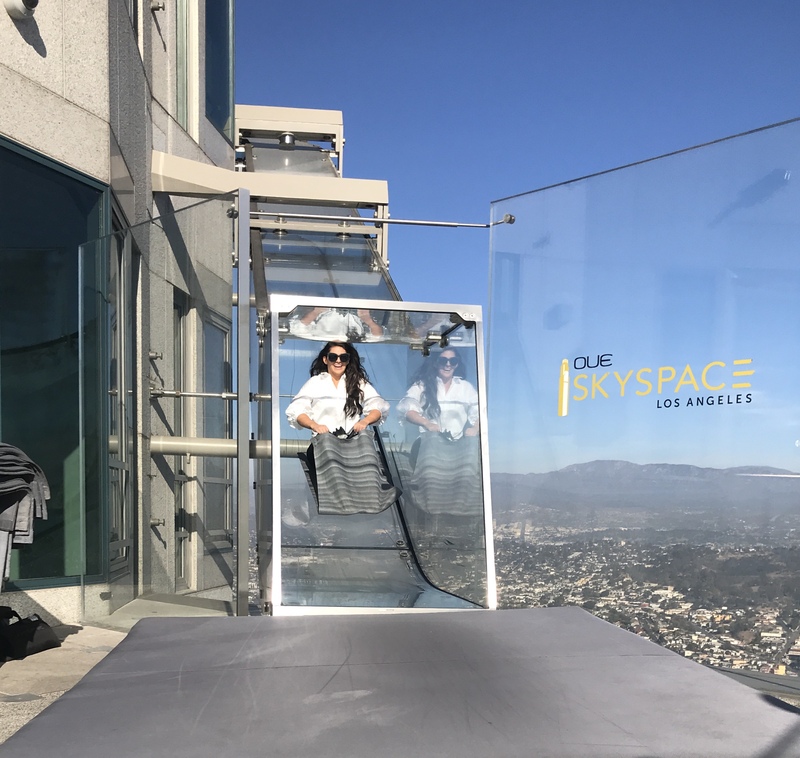 If you guys were following along on my Insta stories the day I went to the OUE Skyspace, you know I was shaking and holding onto my friend Morgan! haha! 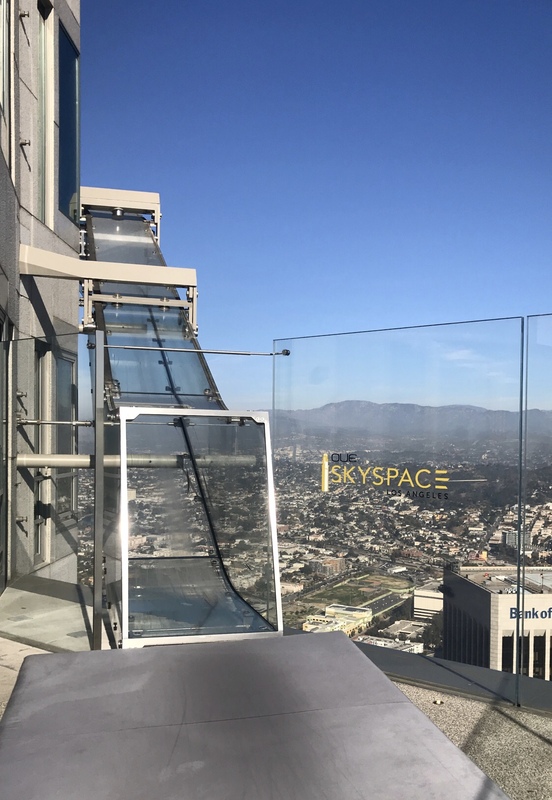 But how many times in your life do you get to slide down a glass slide, over 70 stories high, 1000 ft up from downtown LA?! I knew I had to do it!! 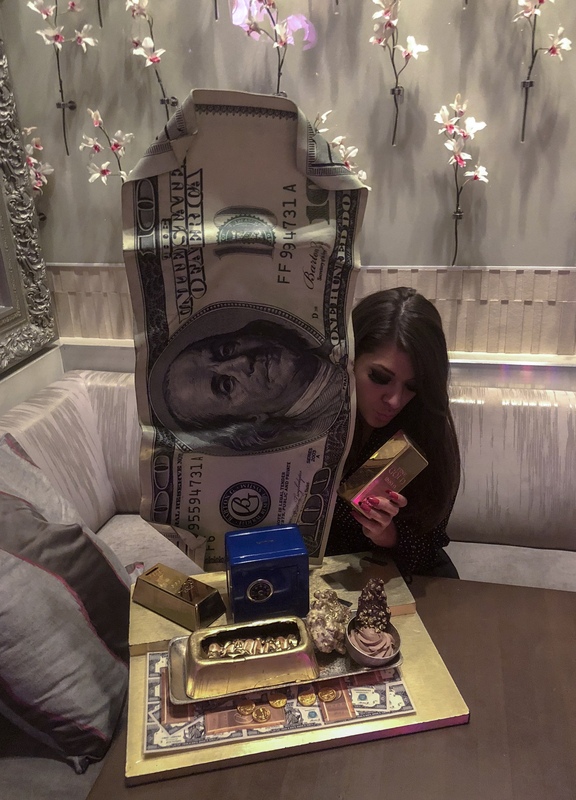 Anything for the gram right?! 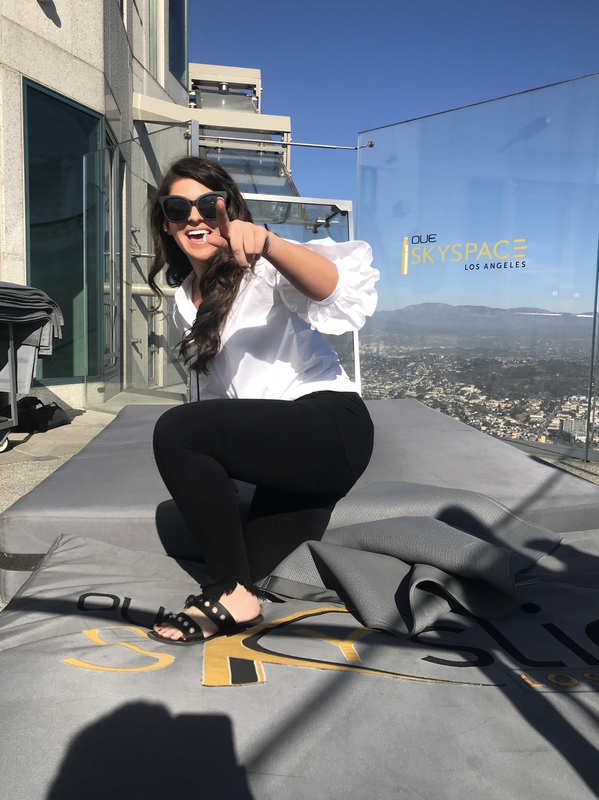 😉 The 360 degree view of all of Los Angeles was waiting for me, just one floor down after I would risk it all and slide off the side of a building! haha!! I think the hardest part was actually inching towards the slide.. because it went by in a flash and wasn’t nearly as scary as I thought it would be!! And it was definitely worth it! Wow! 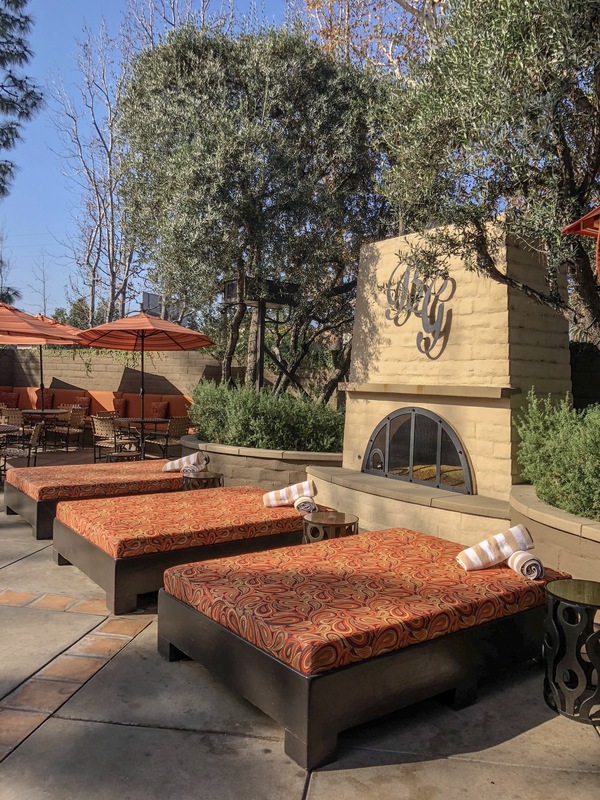 If you’re ever looking for the most conveniently located hotel in the LA area, look no further!! The Garland was minutes away from EVERYTHING! And by everything, I really mean everything! 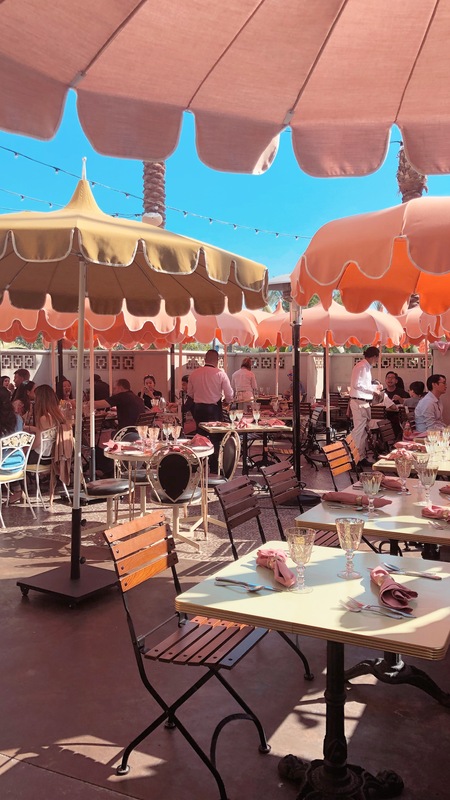 It was within twenty minutes of Beverly Hills, Melrose Avenue, Venice Beach, the Santa Monica Pier and the list goes on! Andddd, it was only a short five minutes to the Universal City Walk! Not only that, the hotel’s cute and cozy boutique style decor made you feel right at home! 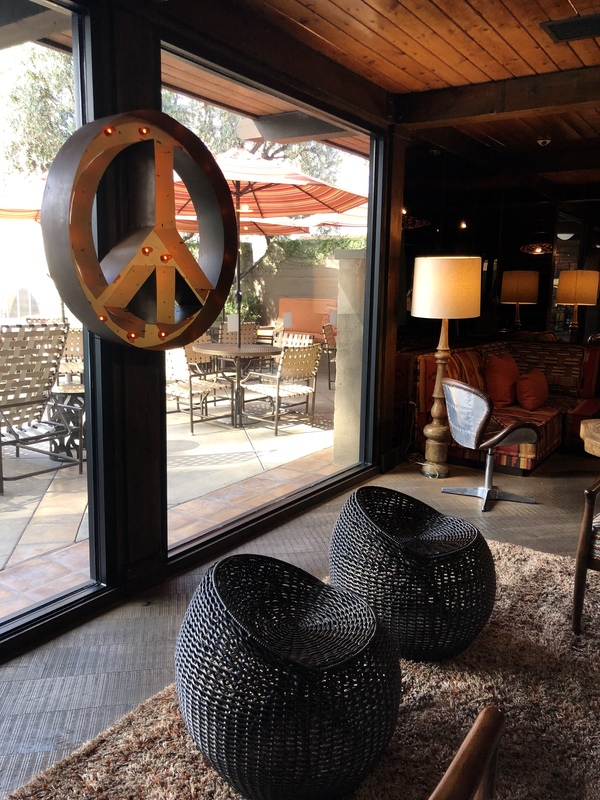 I especially LOVED the lobby area which had dim lighting, chic furniture and a sort of rustic vibe. The rooms were also SO cute!! The pops of orange everywhere made it bright and cheery and I opened the door to the sweetest welcome! The team truly went above and beyond for my stay and I could tell that customer service is at the top of their priority! We also spent quite a bit of time down at the pool and even watched the second half of the Super Bowl at the pool-side bar. It was perfect!! You know how sometimes you go to a hotel and the pool is PACKED with little kids running around and screaming?! This was not the case at The Garland. 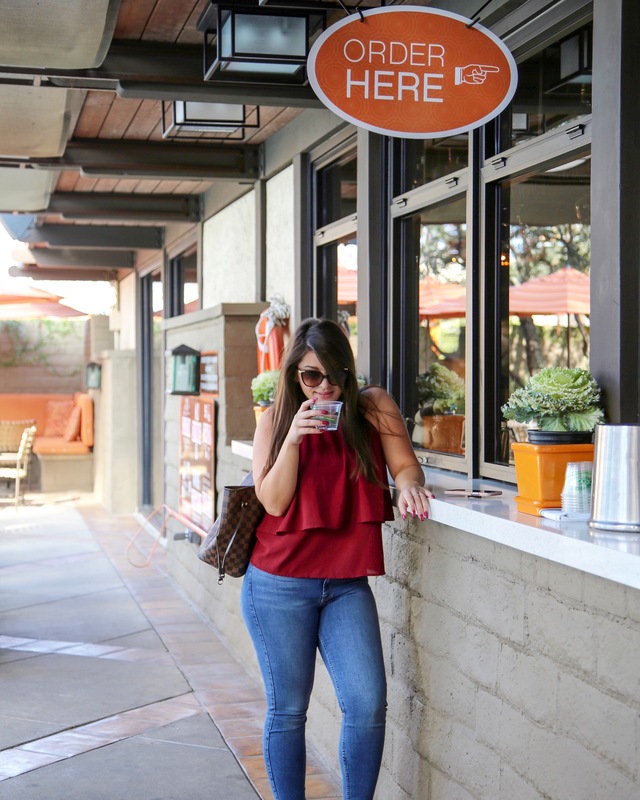 While they are definitely kid-friendly, it wasn’t loud and everything just seemed to flow throughout my entire stay. It was so relaxing and that’s honestly what I look for when I know I’m going to be spending majority of my days in busy LA. The fact that I was able to come back to my room, throw on the luxurious robe they provided and just unwind on the plush bed, was magical. And their restaurant, The Front Yard, was DELICIOUS! 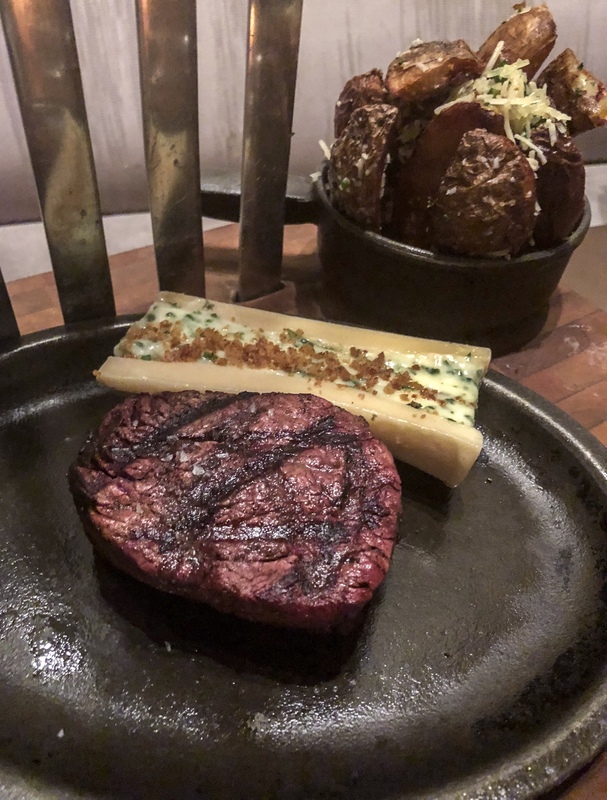 I got the steak and it was to die for! The whole space was gorgeous! It was mainly outdoors, with heaters and fireplace and string lights.. Could it be anymore dreamy? I think not! 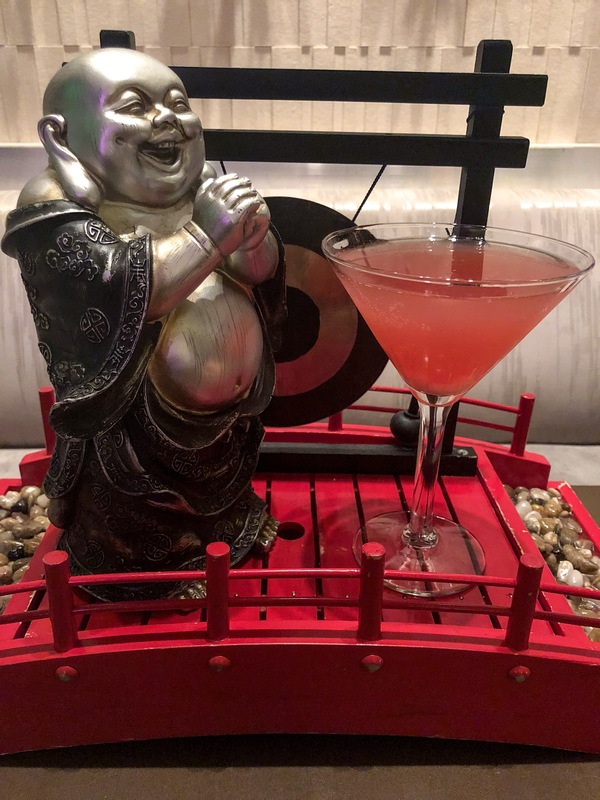 So if you’re anything like me and like a prime location, a friendly atmosphere, good food, good drinks and a gorgeous boutique style hotel, this is definitely the hotel for you!! I can’t wait to visit again! 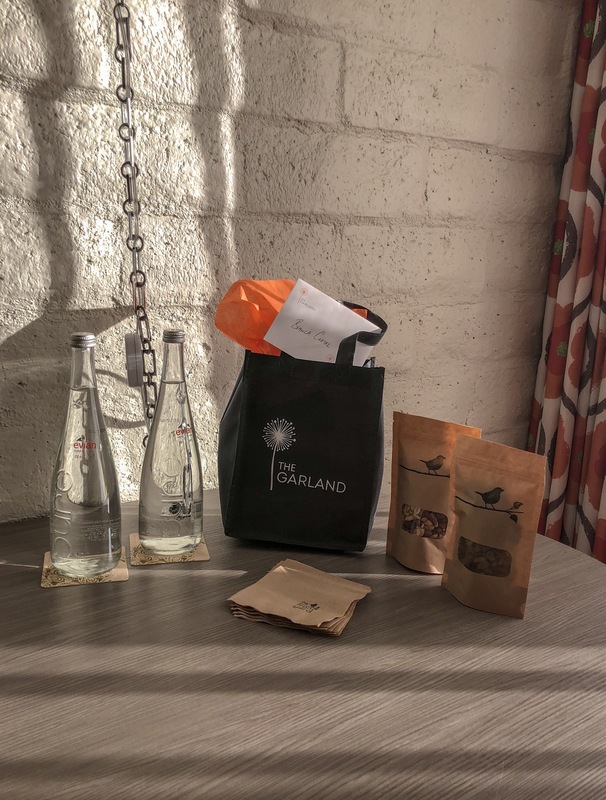 And I want to say a special thank you to The Garland and Discover Los Angeles for making this stay possible! 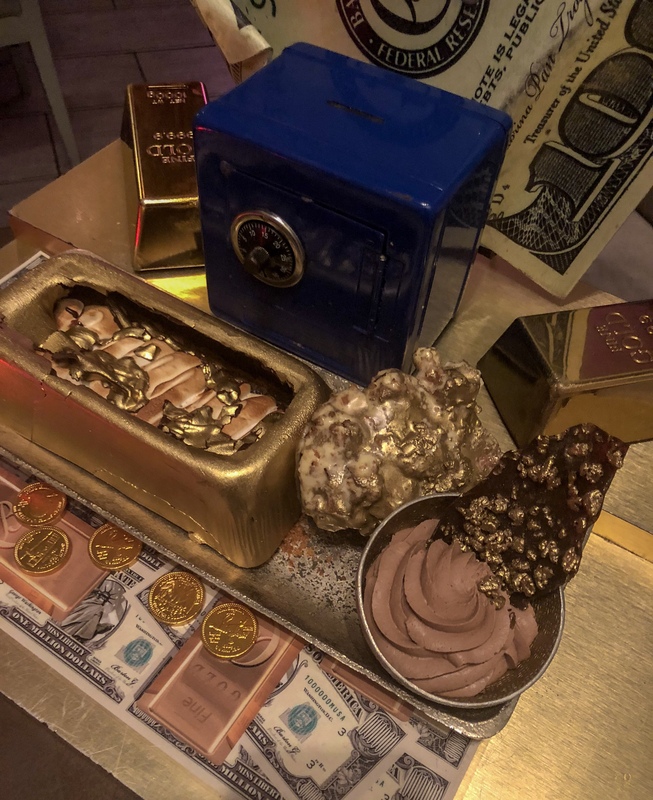 Yet another amazing dessert place! 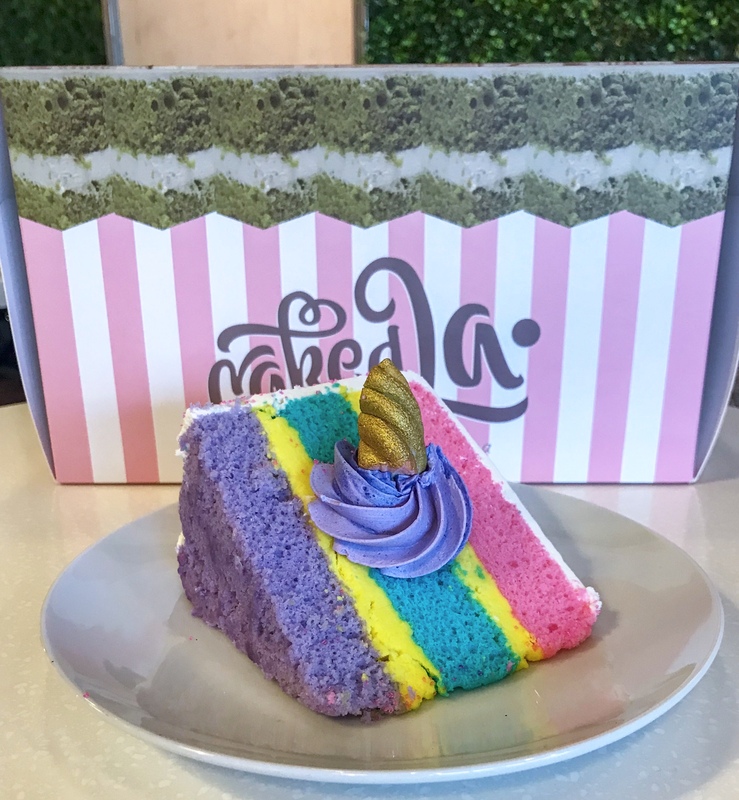 Caked LA fulfills all your unicorn fantasies and more! 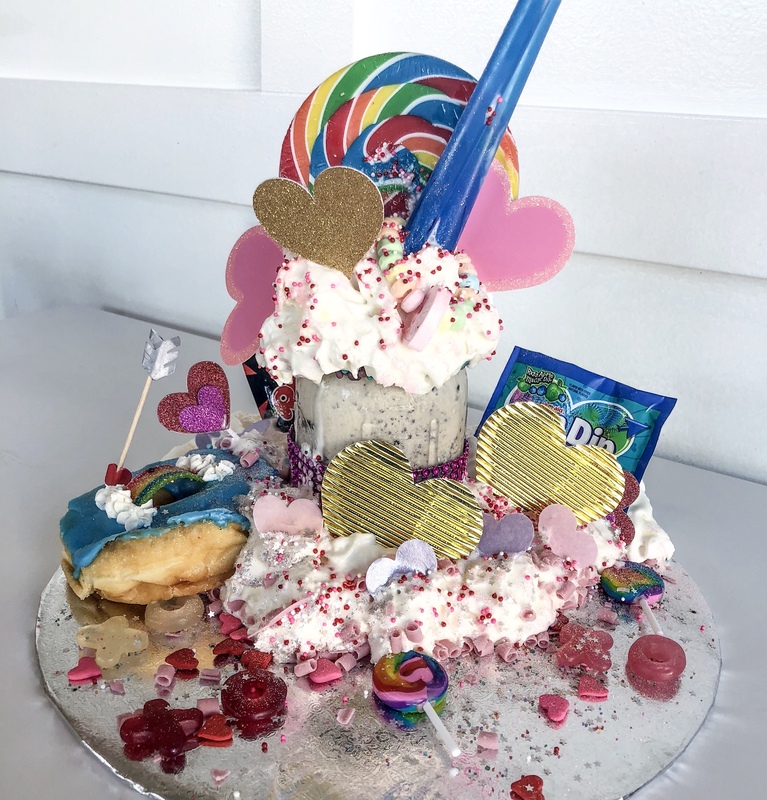 From their rainbow cakes to their yummy, Oreo milkshakes, this is a place you’ll want to come for those magical Instagram pics! And their menu is always growing, so if you have something in mind, but don’t see it, chances are they can make it for you! 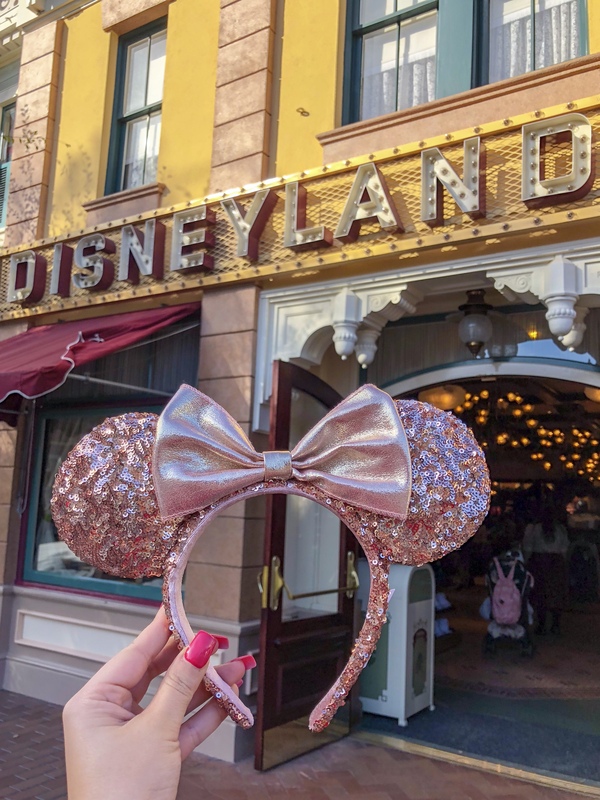 Disney will always make the list! 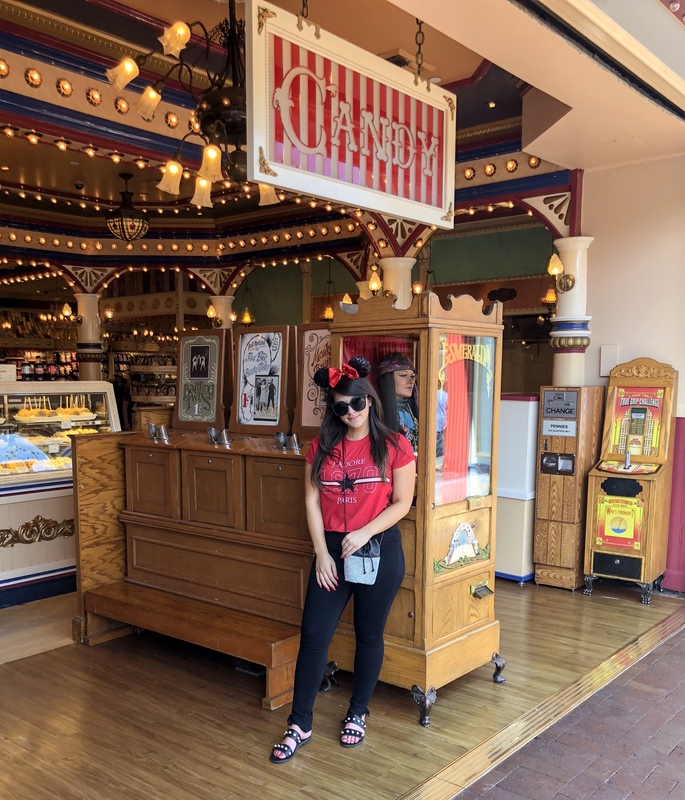 I always have a great time at Disneyland and California Adventures so best believe it made it! It was a day filled with many.. MANY churros, corndogs, laughs, screams and just pure joy! My favorite ride is an always be Indiana Jones. 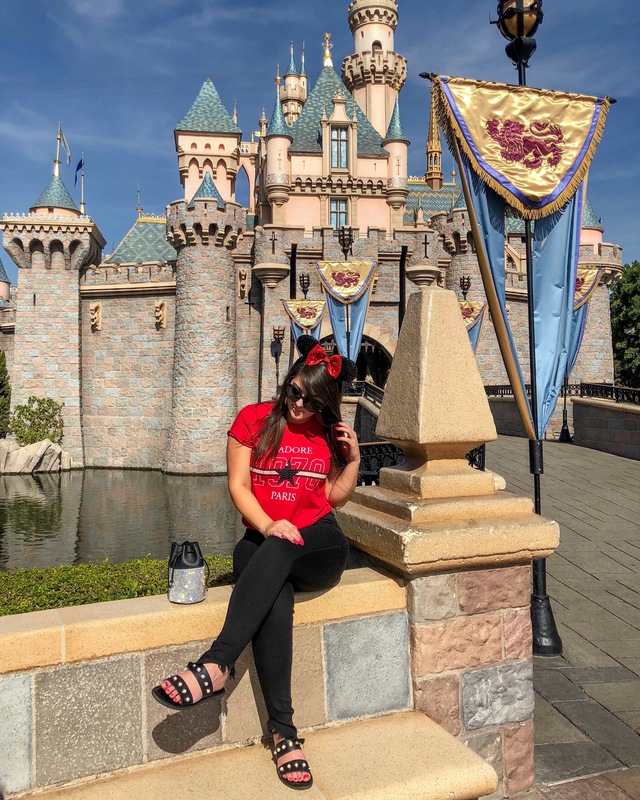 They don’t have it in Disney World, so if you ever make your way out to Cali, check out Disneyland for the best ride ever!!! Previous Post 15 Fun Facts You Might Not Know About Me & D! So many fun places. 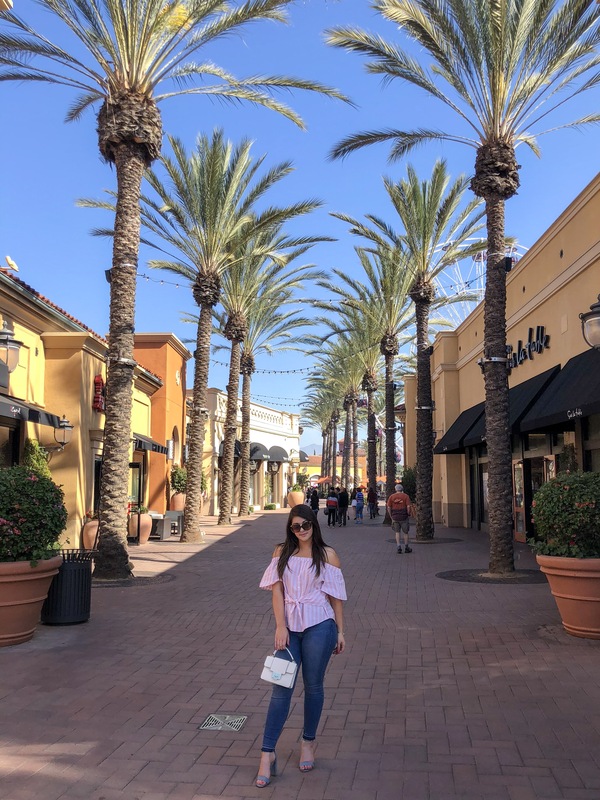 I live near the Irvine Spectrum and love it there and I am so excited to visit some of the places that you highlighted. 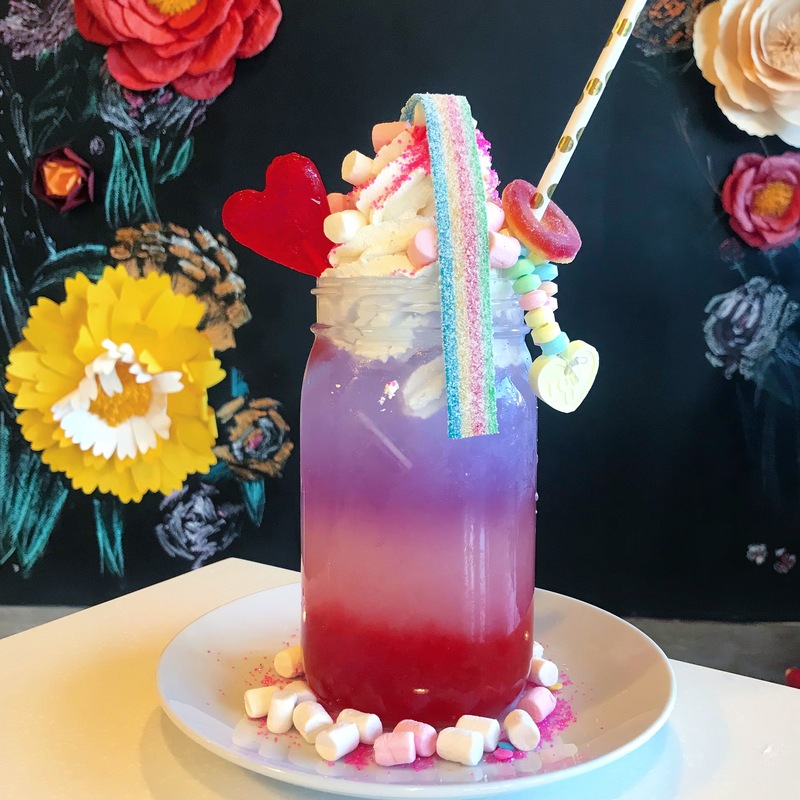 I am especially excited to visit the LA Instagram restaurant. That looks so amazingly fun. Oh awesome!! That’s such a great area to live in! and yes, you should definitely make a stop by the restaurant! it was amazing!! I need to pop into all these places next time I’m in LA! 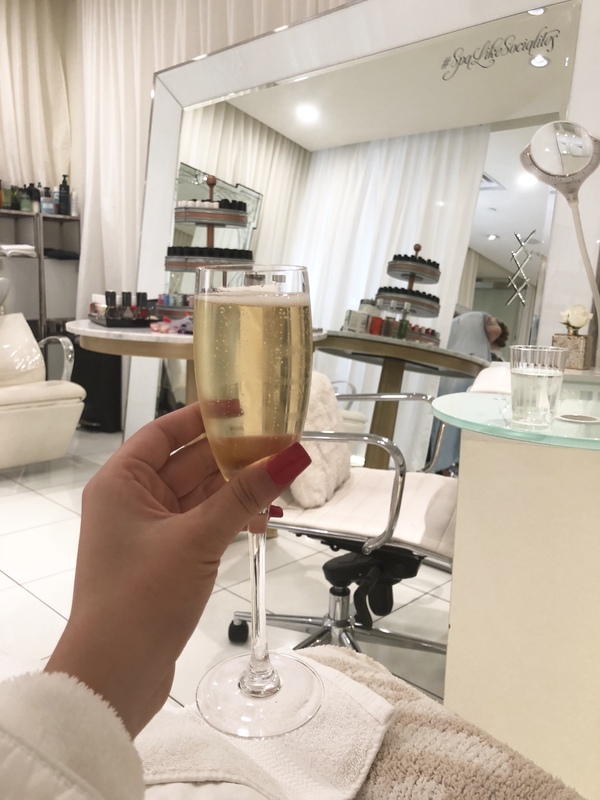 I love visiting new places and who can say no to a spa day?! Right?! The spa was sooo amazing too! Im actually visiting LA this year and I’m so excited. this is such a great guide and saving it for sure! thanks for sharing. Aw yay! you’re going to have a blast! All of these places look so gorgeous! Definitely saving this for later!! Thanks so much! of course! Thanks for reading Asha!! This is so cute!!!! Sounds like you had a blast!! Where are you right now? As I would be never able to leave after all these places. And everything was spot on, so beautifully prasented. Isn’t the Cuban cuisine so delicious? Now I know which places I should visit if I am visiting L.A. 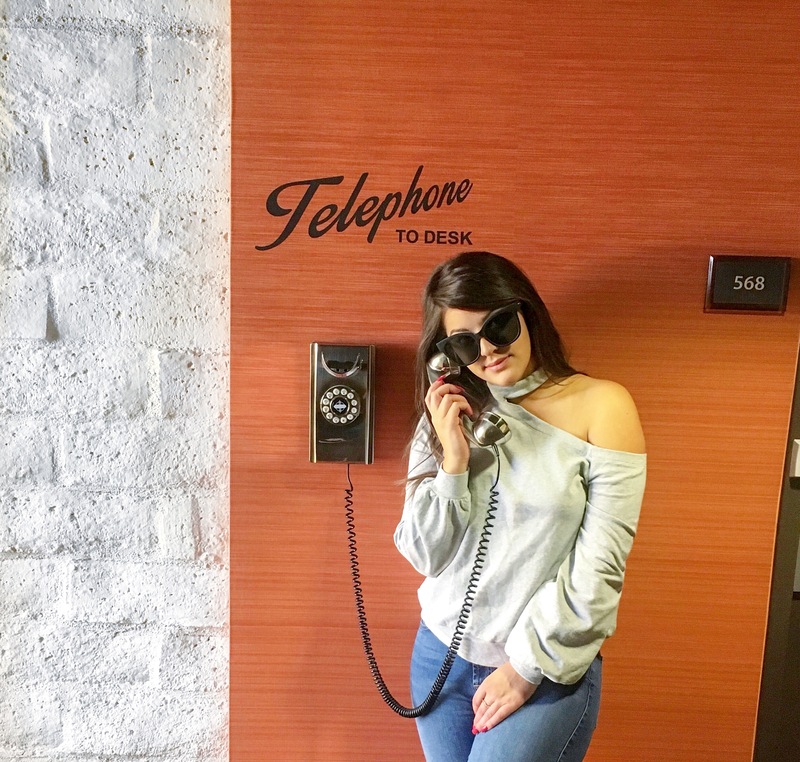 These photos explain the best why LA is the best, you had so much fun. Thanks for posting such an amazing blog. I love LA!! Thanks for reading John!! !